Did You Know Robin Williams Was a Huge Watch Nerd? Unless you paid very close attention to Robin Williams’ wrist during his many stand-up performances over the years, you may not have guessed that the beloved comedian and actor had a soft spot for horology. Now, four years after his passing, an assortment of the personal effects belonging to Robin and his second wife Marsha Garces are heading to auction with Sotheby’s, including 44 watches from an interesting range of makers. 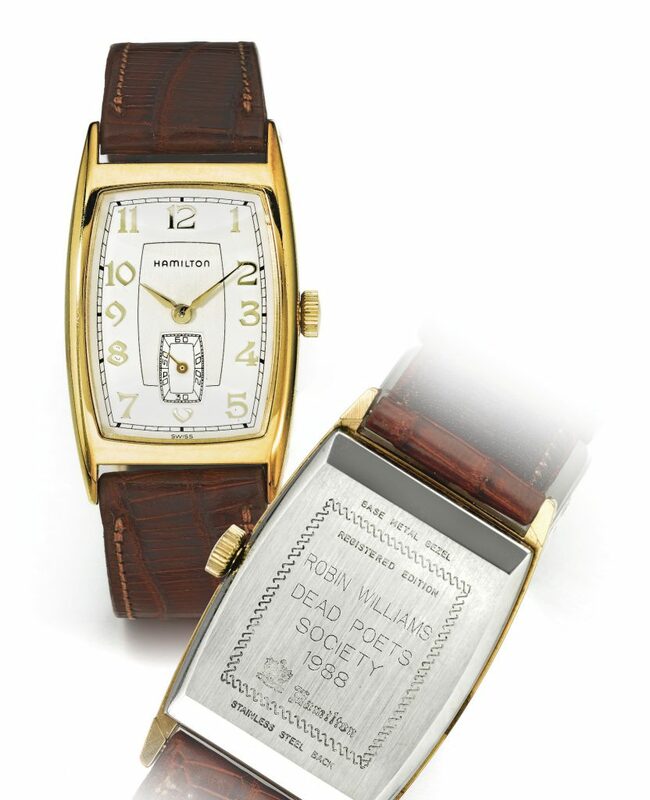 For many the hero piece is the gold-plated Hamilton that he wore during the filming of Dead Poets Society, but for those with an interest in the more obscure corners of watchmaking Williams’ collection won’t leave you hanging. Of course there are some solid mainstream items in the pack ranging from a titanium Big Pilot Perpetual to a first “Vendome Era” Panerai from 1998, but for the sake of education and obscurity we’ve selected a cluster of more out-of-the-ordinary favorites for you today. 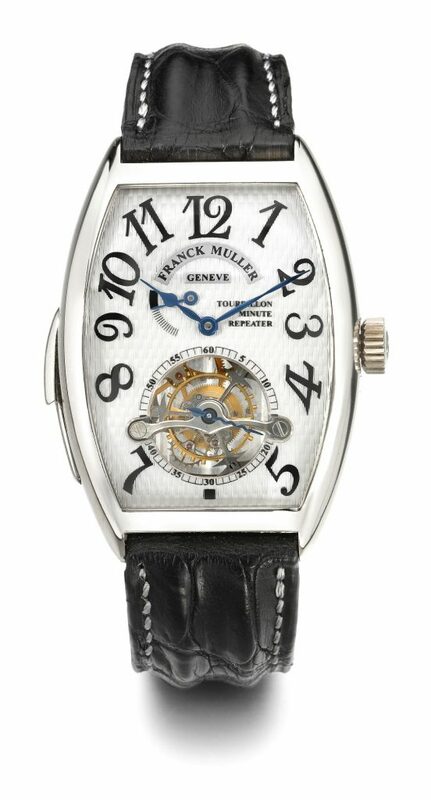 Modern Franck Muller watches are a bit of a mixed bag these days, but Franck has always been a high complication master, know for (among other things) having created the first ever tri-axis tourbillon. Back in 1998, this minute repeater tourbillon was a prime example of his incredible work, yet for this coming auction its estimate is a painfully low $25,000-$35,000. By comparison, an IWC or JLC perpetual without the addition of a tourbillon can easily run you as much or more than this target sale price. Measuring 32mm across and 45mm from lug to lug (and only 11.2mm thick) this repeater is remarkably wearable, especially given the subtle curve to its case. Visible through a display back, its hand-wound caliber is elaborately finished with engraving and hand chamfering, with a clear view of the hammers and gongs of its repeater mechanism. 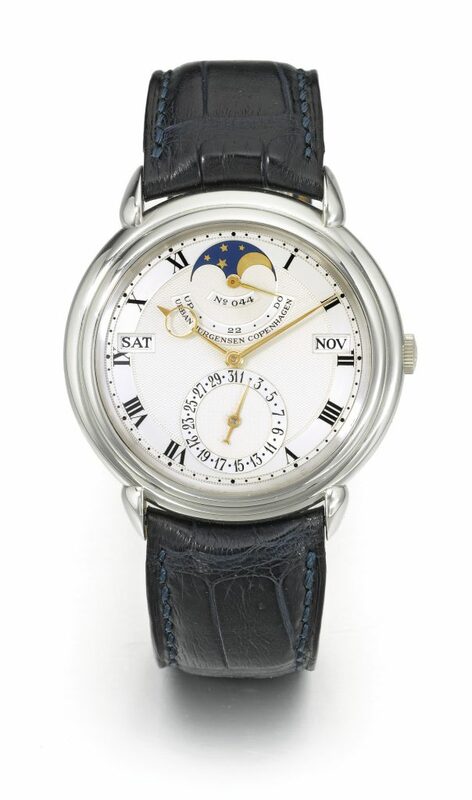 As a brand, Urban Jurgensen is slowly pushing its way back into relevance in the watch industry, but this sleek perpetual calendar dating back to 1995 is certainly nothing to sneeze at. Using a Frederic Piguet caliber 71 automatic perpetual calendar movement, the watch is finished with a beautiful silvered guilloche dial and an incredibly refined set of hands. Its 38mm platinum case isn’t shy on detail either, featuring a stepped bezel and slightly horn-shaped lugs. Even at 23 years of age, this piece is perfectly suited for present-day daily wear considering how case size trends are migrating back to more conservative figures. 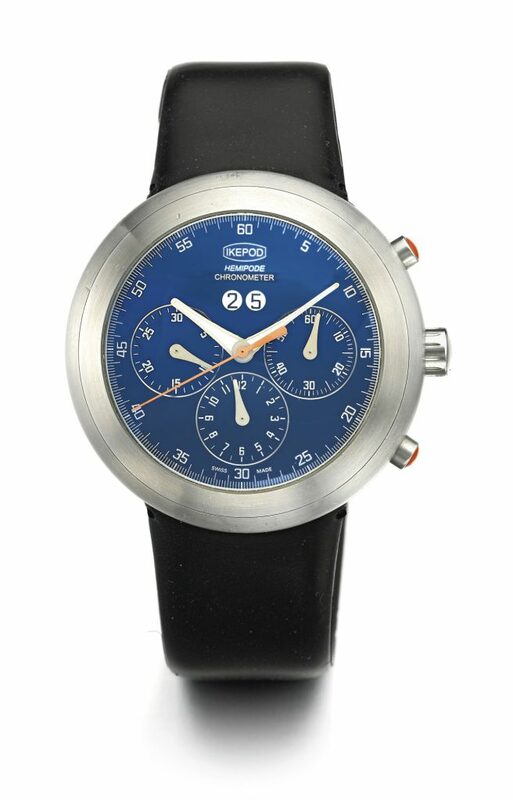 Easily one of the more affordable offerings of the sale, timing of this Ikepod hitting the market is good considering the brand has been working through a slow rebirth since late 2017. Using its instantly recognizable pod-like 44mm case, The piece uses a self-winding Dubois Depraz 4500 movement—a chronograph module with big-date function set above an ETA 2892. 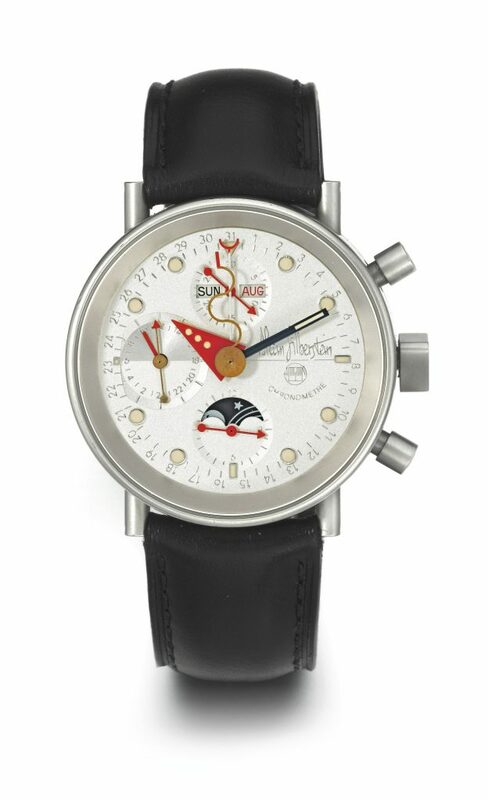 Though the brand is now entering the market as a more approachable and entry-level offering, in the day these watches retailed well north of $10k, making this one a steal even at its high estimate of only $1,500 even before you consider the connection to Robin Williams. As you may be realizing, there is anything but a shortage of interesting names in the collection of the late Robin Williams. 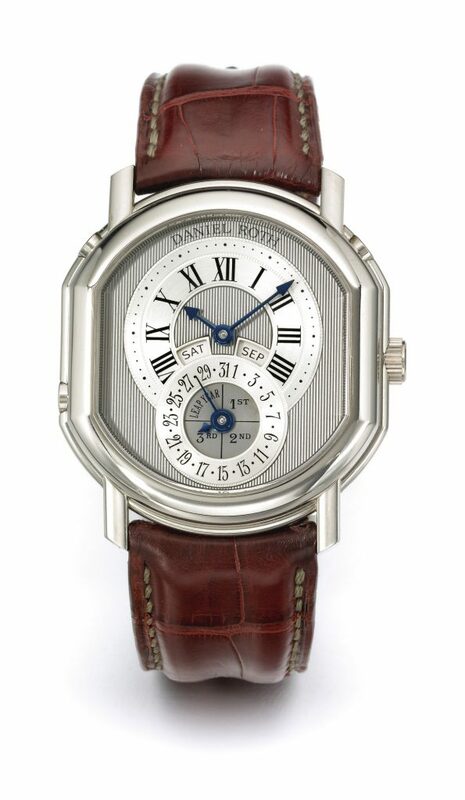 Daniel Roth is one of those “if you know you know” sort of fellows of watchmaking, having spent the time after his arrival in Switzerland in the ‘60s with Jaeger LeCoultre, Audemars Piguet, then being recruited by Breguet where he had a huge impact on the brand between the early ‘70s and his departure in 1989 where he was able to start his own firm under the name Daniel Roth SA (which eventually sold and was folded into Bulgari’s line of watches). This watch is from those very early days, dated to 1990. A further testament to Robin’s long standing passion for watches, this piece is being sold complete with presentation box, instruction booklet, push pin tool, and warranty booklet made out in Robin’s name. Another to file in the “just plain weird” category is this 38mm Alain Sliberstein Triple Calendar Moonphase Chronograph in a microblasted steel case. The self-titled firm was founded by the French former interior designer, and its creations have always aired on the side if whimsical and playful rather than austere and utilitarian. Though no longer in operation, Over the years Silberstein has worked alongside other noteworthy independent brands including MB&F and Romain Jerome. While this piece is a touch more classic in the sense that it features a much-loved triple calendar chronograph complication, this is contrasted by the fact that its handset look like something out of a children’s “build it yourself” playset. It won’t be for everyone, but we don’t expect Sotheby’s having too hard of a time finding the piece a new home.